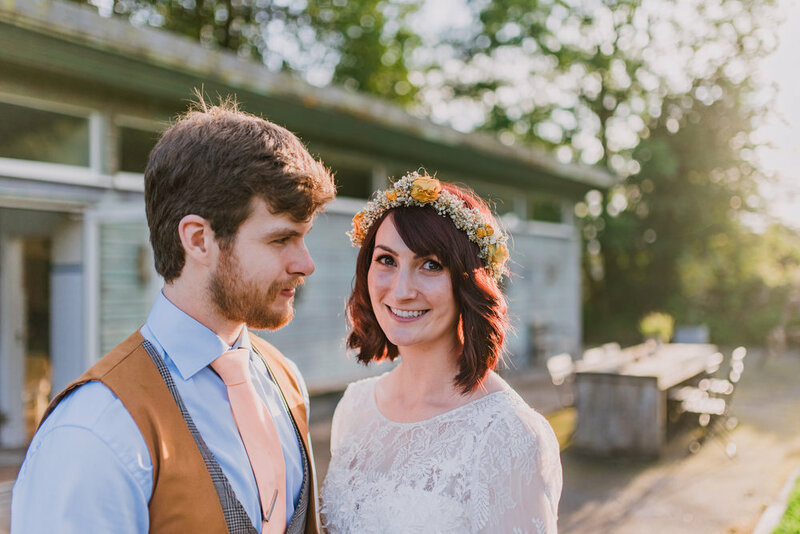 Golden hour light looks magical in any place whether it’s a wedding in the Irish countryside or in Morocco. It’s often called ‘magic hour’ because of its ability to create stunning portraits and makes a whole lot of difference to any images. It’s when the light is the softest, the most flattering and the most romantic and super easy to work with. 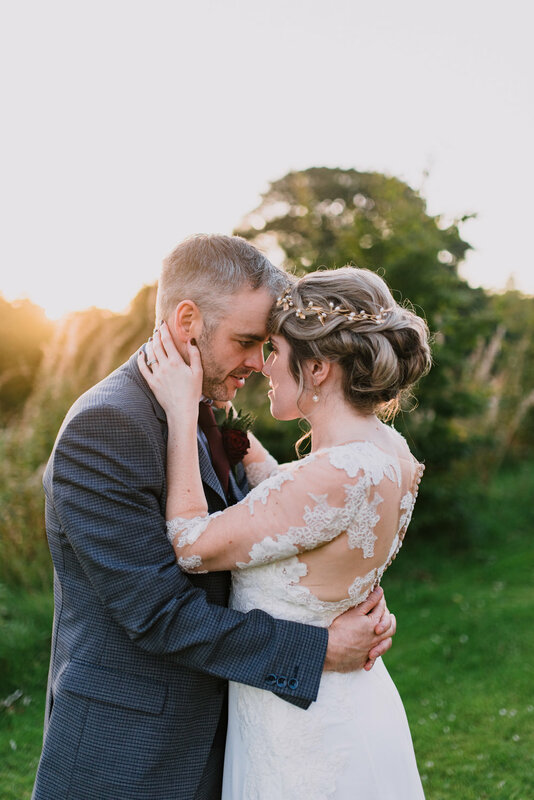 Planning your wedding day timeline for Golden Hour Photos is vital - many couples wouldn’t realise this and arrange their timeline around cake cutting and first dance in the middle of the best light of the day. Golden Hour can be tricky. UK and Ireland are very specific when it comes to sunsets - sometimes on a cloudy or rainy day, a golden hour isn’t guaranteed. I always check sunset times for all my weddings and engagements online at www.golden-hour.com or Google ‘golden hour’. I make sure to let my couples know there’s a good chance for sunset on their wedding day and make them aware of possible photos during that time. Another thing is how different sunset happens at different times of the year. In January Golden Hour will come at 3 pm while in May it will be closer to 8 pm. Keep that in mind while planning out your timeline. Take a look at some examples of Golden Hour wedding photography below.